While Intel formally announced availability of Broadwell-U processors at CES this year, vendors did not actually have any devices available for purchase containing Intel vPro technology. 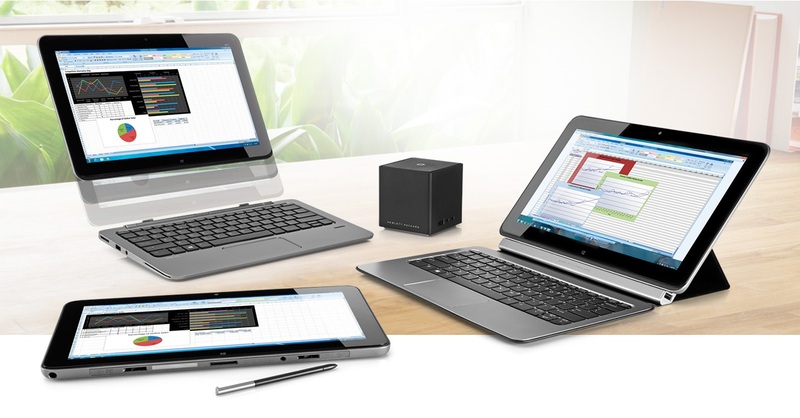 Today that changes, as Intel states the HP Elite x2 1011 and several devices from Fujitsu sporting 5th Generation Intel vPro processors are now available with more to arrive shortly. Businesses that rely on vPro’s management features are now able to purchase new laptops containing Intel’s Broadwell-U processors with vPro features. The main announcement today is of availability, and as such Intel’s press release recaps many of the existing features of Broadwell; rather than cover them one more time, those interested should visit the Broadwell tag for further reading. If you’re not familiar with vPro, this is primarily an out-of-band management technology that Intel builds into several of their products such as SSDs, NICs, WiFi cards, chipsets, and CPUs. Intel brands their out-of-band management as Intel Active Management Technology (AMT). While many business professionals experience IT management such as software updates and group policy enforcement, these are all at the OS level. Intel AMT provides IT tools at the hardware level, which means remote PCs can be accessed even when the OS is down or the power is off. For example, if a device is lost containing sensitive data, AMT could be used to access location services of the device, restrict access, or even erase data. Another neat feature of AMT is using an integrated VNC server, allowing remote monitoring of the Intel integrated graphics feed and even keyboard/mouse control. Going even further, Intel AMT can even redirect the boot process of a PC to an IT provided remote image. New features in Intel Setup and Configuration Software and AMT 10.0 (exclusive to Broadwell) include management of Intel SSD Pro 2500 Series, a location based services editor, Windows InstantGo support, blanking the screen during remote control sessions, and some other low level changes such as patching the OpenSSL heartbeat bug. Over time, vPro has broadened to include more than just Intel AMT. Importantly, vPro also includes Intel Trusted Execution Technology (TXT), which works with a Trusted Platform Module (TPM) to secure a device against low level attacks and provide unique secure device identifiers to management systems. 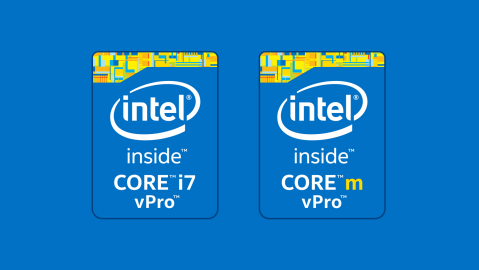 With Broadwell vPro processors, Intel is again expanding vPro to encompass more technology with Intel Wireless Docking and Intel Pro Wireless Display. It is important to note that these features are available to manufactures using a vPro package from Intel, but each device may not implement them. Intel Wireless Docking could be the most exciting new feature. Using four channels of 802.11ad at 60 GHz radio frequency, Intel claims a total bandwidth of 7 Gbps. 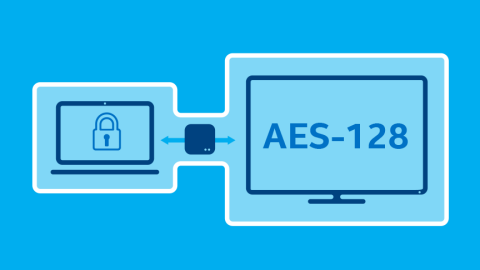 All data passed between the dock and device is protected with 128-bit AES hardware encryption, and two monitors plus USB 3.0 are supported. Intel has not yet provided information yet about supported resolutions, however they do provide an impressive video demonstrating a video file streaming from a USB stick to a laptop from the wireless dock, then back to the wireless dock for display. This docking implementation is particularly interesting as it is implemented at the chipset level instead of the OS level. Intel’s low level control of peripherals allows them to enable no-brainer functionality such as closing the laptop lid and not entering sleep mode after establishing the dock connection. This saves battery as the laptop display is off, but to date this same functionality has required temporarily changing Windows settings. 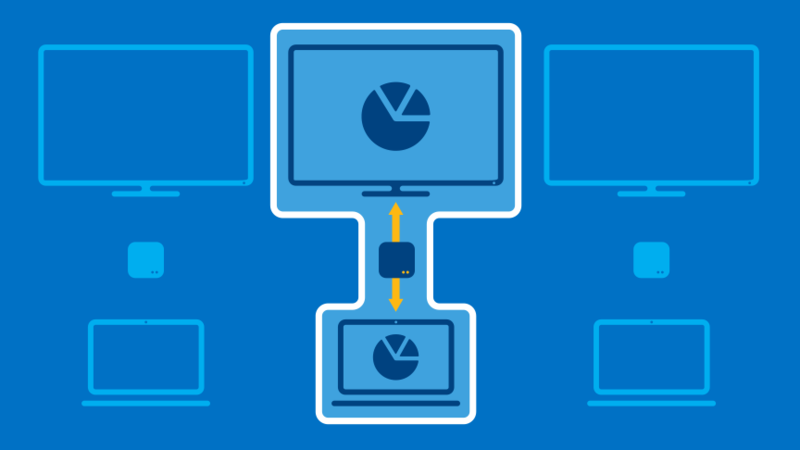 Additionally, Intel Wireless Docking will connect and disconnect from the wireless dock even if the device is open, closed, or in sleep mode. Anyone who has played the order-of-operations dance with a dock before will surely appreciate this. One important note about Intel Wireless Docking is that while it uses 802.11ad 60 GHz networking (WiGig), the actual protocol layer Intel runs is different than devices such as the Dell D5000 that also uses 802.11ad; the two are not compatible. Intel stated devices such as the Dell D5000 are typically using 802.11ad as a simple USB bridge using the WiGig Bus Extension (WBE) layer, whereas Intel Wireless Docking is a tight integration with the Broadwell SoC providing new experiences such as those listed above, on-screen-display, and remote firmware management. Intel uses the WiGig Display Extension (WDE) and WiGig Serial Extension (WSE) layers. Intel states they are working with the other Wi-Fi Alliance members through various plug fest and other activities to promote interoperability. Intel Pro Wireless Display (Pro WiDi) might sound familiar, and this is a variation of the Intel Wireless Display (WiDi) technology with the key naming difference being the insertion of Pro. What does that Pro add other than three letters? Several features aimed at business use cases. Wi-Fi direct connections made by WiDi Pro can now use enterprise security, a display confirmation handshake appears on both screens to prevent accidental sharing to the wrong display, managed display hand off to multiple devices in the same meeting room via GUI operations, and remote IT management of security certificates on Pro WiDi devices. Finally, Intel Identity Protection Technology (IPT) now supports multi-factor authentication. This provides IT with more options to specify which authentication factors can be used for enterprise applications, such as a paired Bluetooth device. Windows 8.1 added support for Miracast wireless display in the OS. I have a Gen 1 Surface Pro. With that said, I'd still rather see Intel WiFi in the Surface Pro. It is nice to see the wireless docking, but Intel hasn't committed to making their own dock. This means we're at the mercy of manufacturers to make a decent product. Will enabling the 60GHz mode for wireless docking need any extra hardware (eg more/different antennas) or is it a completely free addition with vPro chips?